“Smithsonian grounds neglected,” Histories of the National Mall, accessed April 25, 2019, http://mallhistory.org/items/show/529. In his annual report for the year 1856, Secretary of the Smithsonian Joseph Henry complained that Congress had not provided money in the Smithsonian's budget to maintain the Institution's grounds. As a result, he said that the area around the building looked neglected. This photograph accompanying the report showed the state of the grounds. Although the grass and plants were not overgrown, the area lacked a landscape design appropriate for a national institution. 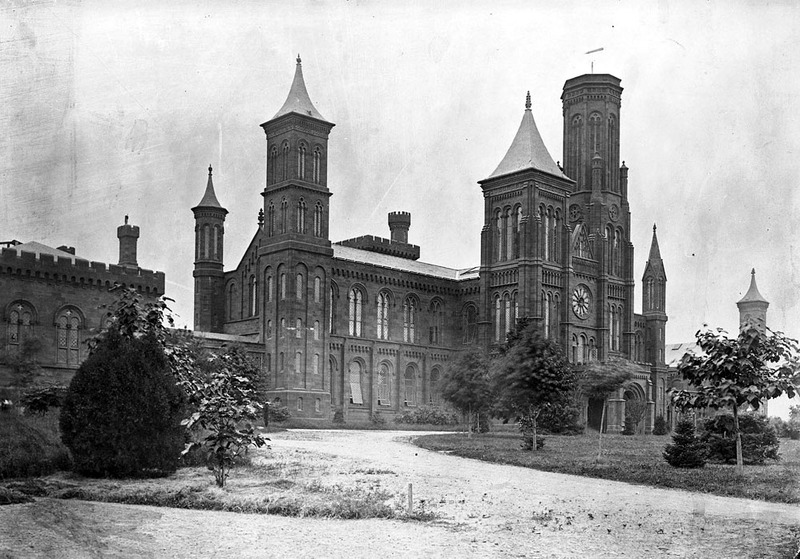 By 1858, a small amount finally was allocated to care for the Smithsonian grounds, even if it was not enough to implement a new design.